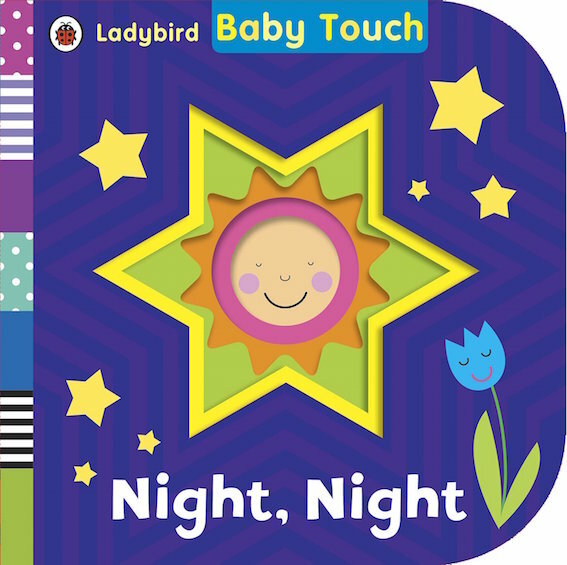 Baby Touch: Night Night is perfect for babies bedtime from birth. It's bedtime, baby! Time to go to sleep! 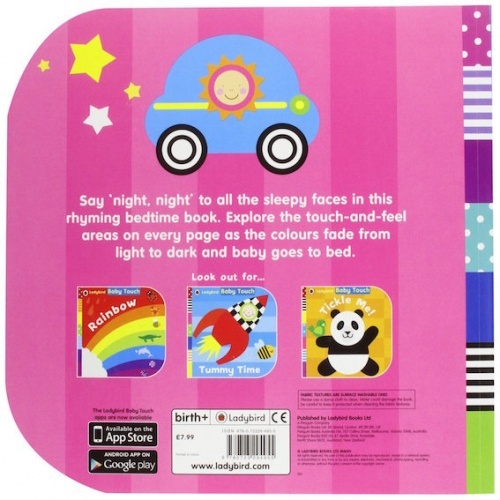 Say 'night, night'; to all the sleepy faces in this colourful touch-and-feel book, reading the gentle rhyme as you go. Colours fade gradually from yellow daylight to black and silver darkness as the book progresses, until it's night time and baby goes to bed. With big touch and feel areas on every page, it's a perfect bedtime book to share with the youngest of children. Very good book. Colours & shapes keep the 2 month old interested.